From the start, Ashley and the rest of the Boals Farm family, were AMAZING. We loved how quick they were to respond to every question we had and they were so kind to let us have several site visits prior to the big day. The venue itself has so much character and beauty and it is so evident that it is run by a loving family. They transported all of the guest to and from parking area all night for the wedding and rehearsal dinner. Rain or shine, Boals Farm was the best venue ever! Such a beautiful place to have a wedding! All of our family and friends loved the scenery the farm offered. The family who own the property are very sweet and do whatever they can to make the day special for you. Honestly the easiest decision we made through the planning process was picking this breathtaking venue. Just check it out for yourself! Choosing The Stables at Boals Farm for our wedding venue was the BEST decision! I cannot say enough good things about this place. The atmosphere was amazing, Ashley and her family/staff were amazing to work with and they were all super accommodating and pleasant to work with! The venue was such a hit with our guests and people absolutely loved being out there. I would HIGHLY recommend this venue for other brides looking for a venue that is rustic chic! Love this place! Can’t say enough good things about this venue. Big Thank You to everyone at The Stables at Boals Farm that helped us for our daughter’s wedding yesterday!! It was a huge success thanks to a well run operation with the nicest people. Boals Farm was our perfect wedding venue. It’s naturally just so beautiful- the surroundings, the gorgeously build buildings, the horses! The space is great and very adaptable to whatever you want your day to look like. Our ceremony under the trees was absolutely perfect. The staff were really helpful and lovely the whole day and even went to the next level to dry our soggy cushions after a rain shower! They kept the fire burning all night! The owners were quick to reply to messages and keep us updated on anything we needed to know. So many spots for great pictures too! Truely a magical place and could not be more happy with our choice of venue. I wish we could do it all over again there. This was the perfect place for our wedding. Boals farm answered quickly to any questions we had and were very caring and involved even on the big day! All the guests loved the venue it is a beautiful spot for an outdoor wedding and they loved getting to interact with the horses. Couldn’t have been any better. Couldn’t have selected a better venue for my daughter’s wedding. The Boals Family was so accommodating and such a pleasure to work with. All the guests loved the rustic and vintage atmosphere the Boals Family has taken such care to maintain. The fire pit was a favorite for all, as was the opportunity to visit some horses. My daughter and her party enjoyed the Bridal Cabin which is absolutely adorable! The Groom and his party was not left out, as they enjoyed the Grooms room just as much. Even our caterer was thrilled with the prep kitchen area that is provided! We are so looking forward to seeing the Wedding pictures as there are many opportunities on the property for some fantastic shots. I highly recommend the Boals Farm. Oh my goodness. THIS PLACE! The Stables at Boals Farm is close enough to town to be convenient for planning and guests, but its so peaceful and feels like you’re miles away from all the craziness! We saw the venue at night our first time, and immediately knew this was the place we wanted to get married! Its just beautiful, all the decor we had was really just small touches to accent the natural beauty of the property. Communicating with Ashley was a dream. All of our questions were always easily answered. I loved that she was there the day of, it was helpful for those last minute jitters to see a friendly face and know that everything was perfect and taken care of. This place is so, so special..and so is the family that owns and runs it! The Stables at Boals Farm is the PERFECT venue for a wedding. The staff is more than helpful and more than willing to make sure you’re special day is as amazing as you want it to be. We had a wonderful experience and we couldn’t ask for a better place to have our wedding. It was so beautiful and you feel like home. Thank you for sharing your horse farm with us. It couldn’t have been any better. The minute we stepped foot onto the property of Boals Farm we knew it was the place that we wanted to be married. From the rustic look to the beautiful landscape it was so aesthetically pleasing. Ashley at Boals Farm was a joy to work with. She was willing to answer any questions we had and was very timely with her responses whether it be by phone or email. The day of the wedding the whole family helped out and made our special day more special. Ashley and the entire staff at Boals Farm are absolutely amazing!!! I cannot speak highly enough about the service and care that they took for our wedding day. Our guests are still raving about how beautiful the venue is, and we had fairly minimal decorations. Golf carts were available to drive our guests from the parking area to the reception/ceremony site. Ashley is super with her response time and worked with us and our vendors every step of the way, answering all of our questions, and providing advice for things that we would not have thought of that greatly helped out. She drove me and a few of my bridesmaids in the golf cart to my hiding spot before the ceremony so that we did not have to walk all that way in our dresses, and even remembered to remind us exactly one month before our wedding to come out and bury our bourbon bottle so that we would have good weather! 🙂 The farm is very well manicured, everything is clean, and the bridal suite/cottage was perfect for us all to get ready in. Everyone was helpful after the event as well with lost and found items. We were all sad when the event was finished and wanted to repeat the day over and over again! We live in North Dakota so our entire wedding was planned online and we were not able to visit the venue until the week before our wedding. The minute we saw photos we knew this was where we wanted to get married and didn’t look anywhere else, we were not disappointed. From day one Ashley was amazing. She answered all the questions we had (which were quite a few) immediately. When we arrived in Charleston Ashley gave us a very warm welcome, and she took us around their gorgeous property and facility. Their entire family was there on the morning of our wedding day when we arrived (at 9:30am) helping set up for our wedding. The day of our wedding it rained but because they have the large covered pavilion there is a built in back up plan! We held our ceremony and reception under the pavilion and had plenty of space (we had a small wedding with 25 guests)! Everything was perfect and we couldn’t imagine our wedding anywhere else. We are still getting complements on the location! If you are looking for the perfect backdrop for an outdoor wedding and truly helpful people The Stables at Boals Farm is the place for you! Thank you so much for helping make our wedding day so perfect! They were my first and only choice, recommended by my father, and I couldn’t have been happier! Our wedding was perfect, the bridal cabin and rental room more than helpful for the wedding and getting ready, the icing on top of the beautiful cake. The venue protects from bugs for outside events, and the caterers have plenty of working space. The dance floor and eating space with two tents was more than enough for our huge family gathering and our friends. Thank you for making our wedding perfect! We were SO happy we decided to go with Boals Farm. They were so professional and there were so many complements on the venue by our guests. It’s so idyllic and quiet. Just the perfect location for a wedding and reception! Y’all. I don’t know how to say this using words but I will try. BOALS FARM IS THE BEST VENUE IN SOUTH CAROLINA. Hands down. I have never met a more friendly, accommodating group of awesome people in my life. They answered all of our questions and went above and beyond to fulfill any requests we had. They treat you and your family like their own. This beautiful place is so incredibly maintained and so very well cared for, its absolutely breathtaking. We had our rehearsal dinner, wedding ceremony and reception at this venue, and every moment was magical to say the least. I can’t thank the Boals Family enough for the greatest weekend of my life. Highly recommend this venue. There is nowhere else I could have imagined my wedding day. The Stables at Boals Farm made my wedding day amazing. There were accommodating and were always one step ahead of what was needed for my wedding day. The staff was pleasant and professional but were very welcoming. I would HIGHLY HIGHLY recommend this venue. They seriously made our whole wedding weekend magical. 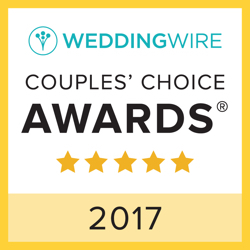 I would also recommend having your rehearsal dinner there as well, they were so accommodating and we could not have asked for anything better. Words can’t express enough how much gratitude we have for The Stables at Boals Farm family. FIVE STARS!!! The Stables at Boals Farm is the most amazing venue! This is a family owned venue filled with love and great vibes!! Megan and I visited Boals property and it was love at first site! The Property is clean, well groomed and one of a kind! 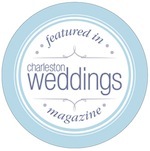 I DJ weddings all over Charleston and would put The Stables at Boals Farm #1 on my open air venue list by far! I put a lot of thought and time into my wedding event and decorations, but without the The Stables at Boals Farm charm shining threw it wouldn’t have been the hit that it was! My wedding was two days ago and I’m already trying figure out how I can enjoy the property again!! Thank you to the entire Boals family! Stop searching, just book at Boals. You won’t be sorry. Everything was absolutely perfect. My only advice is not to think to hard on the decision, just go ahead and choose this venue. Our wedding was amazing and the staff were so helpful and nice! The grounds looked amazing, the facilities were awesome and the decor is exactly what we were looking for! The Boals family are such wonderful people to work with! This rustic venue is absolutely stunning! You feel the history of the farm as you walk around the grounds. Every corner is unique, timeless, and kept in pristine condition. The service they provide exceeded all of my expectations! Thank you for everything! This venue was absolutely perfect for our wedding! It was the first and last venue we went to see because we both knew we weren’t going to like anything else after visiting Boals Farm. Ashley and her mom were as sweet as could be and very accommodating. Great communication, quick responses, and overall wonderful to work with. All of our guests were amazed with how beautiful the farm was, and the open, versatile space allowed people to spread out rather than being crammed into a room. Our guests loved the fire pit for s’mores and a more intimate setting, and we had several lawn games set up which were a big hit. The cute bridal cabin is a great space for getting ready and the large covered space and bar worked great for our reception. There are so many beautiful areas for photos and for ceremonies. I could go on and on…. Needless to say, I would absolutely recommend anyone looking for a venue for their wedding or other type of celebration to check out Boals Farm. I would also recommend inquiring about their rental room. It was reasonably priced and much easier than getting things from an outside vendor. Lots of items with a nice rustic look to them which goes great with the setting. We had a perfect day, and the farm definitely contributed greatly to that. I’m actually a little sad that we don’t have a reason to go there now that the wedding is over! Thanks Ashley, we really enjoyed working with you and your mom! The venue was terrific for a casual outdoor wedding. Everyone went out of their way to make the day as easy as possible for us, including wiping down the chairs after a brief rain storm. Prior to the wedding Ashley was always cheerfully available to meet us or answer questions via email. Her response time was phenomenal. Spend time sharing your vision with Ashley and Jason and then LISTEN to the great ideas they have to make this your best.day.ever! They were amazing! Made us feel special and truly made it a magical day to marry my best friend! Perfect venue for anyone! Awesome venue and very pleasant to deal with. I couldn’t imagine having a better day because of the staff and venue. The attention to detail at The Stables at Boals Farm is a wonderful addition to any event. The people that run the Events, Ashley and her crew are really personable and helpful. With its serene vistas, and low country flavor, I would recommend this venue for any event. The wedding that I had the honor of helping host here turned out perfectly. Tell your friends, The Stables at Boals Farm is a beautiful, hidden gem. This secret is out!! We couldn’t have had a more perfect place for our wedding! From the very first time we stepped foot at Boals Farm, we felt welcomed by Tommy and Jason and immediately fell in love with the history and stories behind the property. Jason was always so excited to hear about our plans and to see us each time we visited. His genuine love for Boals Farm exuded from him, and gave us awesome ideas for decorating the venue for our special day. When the Boals family saw our ideas come to life, they were touched by the love we had for the farm and for each other and left us a sweet note of how our lives impacted theirs. It was like having a wedding on your family property! All of our guests talked about how intimate and special our wedding and reception were, and how much they adored Boals Farm. I wish we could plan and have a wedding here every year! WOW WOW WOW As the father to the bride, I would like to say, what a fantastic place to hold your events. From the time we looked at the farm, to the day of the event, Boals Farm only made great improvements to the establishment that far exceeded what we had originally booked. Not only did I hear great things from all the guest who showed up, but even the bartender & DJ said it was one of the nicest establishments they had been to. The staff accommodated us far above what we expected & I hope we exceeded there expectations by cleaning up after ourselves – to leave this picture perfect place as beautiful as it was when we came. Please, if you do nothing else when planning your event, take a look at Boals Farm & you will see it’s your last place you will need to look. The Stables at Boals Farm was a great venue for my daughter’s wedding and the Boals family knows how to put on a great event. The setting is a rustic look with a ton of class; great place to be out in the open with the horses, wildlife, and the barns. It’s a must for anyone that enjoys the outdoors and wants to have a special event away from the hustle and bustle of city life. Boals Farm… The scenery alone is fantastic! They made our day so special! It was so nice being able to have the ceremony and reception in the same location. We had rain the entire week before and the venue was able to clean up the grounds and make our day perfect! The fire pit was a huge hit and the backdrop for our pictures made it that much better! If you’re considering an outdoor wedding, I would highly recommend Boals Farm! The family is fantastic and we can’t say enough about how great they made our day!! Love love love me some Boals Farm. Every bit of the experience of planning/having my wedding there was perfect. I got to meet a lot of the family and they are just all amazing. All my wedding pictures were beautiful because of this neat venue! We put a deposit down for this venue within an hour of being there, that’s how exceptional and remarkable Boals Farm was. Jason and Ashley made us feel like family and helped us have the most fun, beautiful and memorable wedding!! They provided such high quality service, were very prompt in responding to my many emails, and flexible in meeting my needs! Boals farm itself has outstanding grounds, they truly love this place and that shines through their personalities and in how well maintained and manicured the venue was! The barn is very well kept, with every rustic detail fitting in perfectly. Their bathrooms are even incredible! 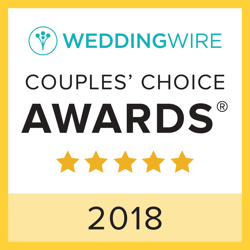 I can’t even begin to count the many compliments we have received about the beauty of this venue and we are always happy to recount our wonderful experience with this family, the venue, and our wedding! We LOVED this venue! They were so easy to work with and everything the day of went perfectly. All of our guests were very impressed with the location too! The whole family was amazing and helpful! The day of the wedding the entire family was helping and making sure everything went smoothly and asked if we (groom & bride) needed anything to let them know! This place was just perfect. Ashley was easy to work with and easy to get a hold of. The day of the wedding Boals Farm staff were very help is setting up things. If anyone is looking for a outdoor wedding they should use this place. Amazing family owned venue!! They couldn’t have been more helpful in making my dream wedding come true! Boals Farm made my wedding amazing! They helped out so much, and we couldn’t have done it without them!!! 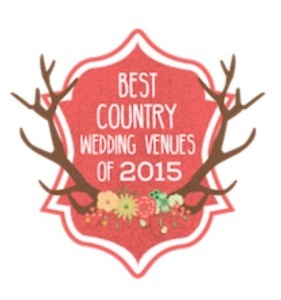 They are a wonderful family-owned venue (: …Fabulous atmosphere and the perfect place for our wedding! 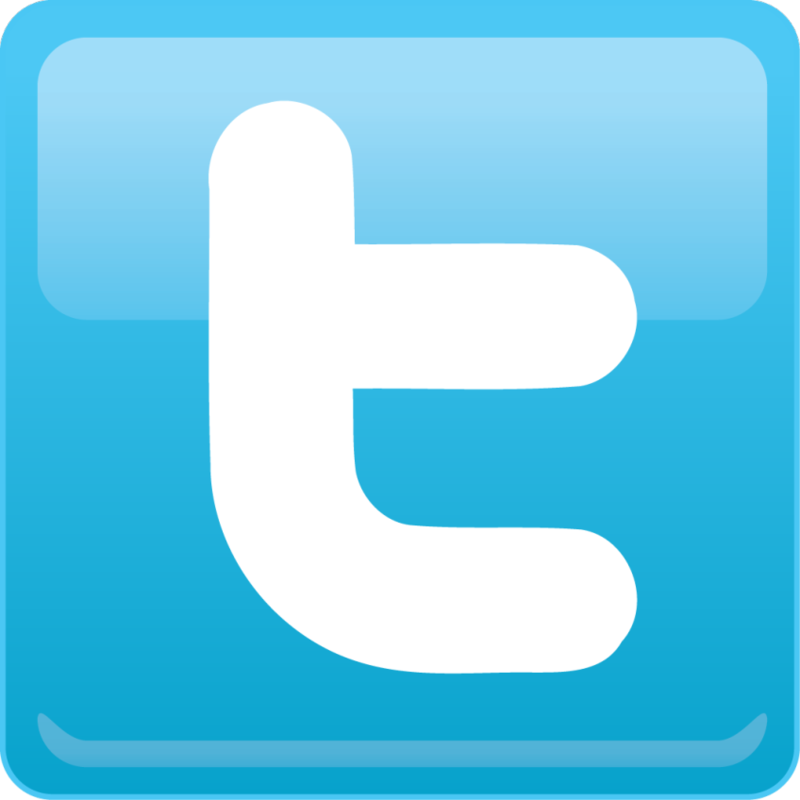 Wonderfully helpful staff and they helped in ways other venues would not. There could not have been a better venue for our daughter’s wedding! We all loved working with the staff and always got a quick response with any questions we had. We certainly would suggest The Stables at Boals Farm for a wedding or party venue!!! Thanks again to all of you who made our very special day that much better! Jason & Stephanie (& everyone at Boals [Farm]) went out of their way for us throughout the whole planning process. On our wedding day (the weekend after the flood), they poured extra gravel in the parking lot to fill the puddles. They assisted grandparents from their cars to the ceremony. The list goes on and on but I could not have asked for better service on our big day. One of the most important pieces to the puzzle of planning a wedding is the venue selection. After planning nearly 100 weddings, I can honestly say as an event planner, working with Boals Farm is an absolute pleasure. The clients, the vendors and the guests are treated so well and the appreciation shown by the Boals Farm team is evident. They go well out of their way to make wedding (and event) dreams come true. They are so passionate, accommodating, thorough and meticulous about everything from the communication to the high standards set to maintain this beautiful piece of family property. There is no other outdoor venue that is so well maintained and cared for – the passion with which the family cares for Boals Farm is obvious and extraordinary. One trip to Boals Farm and you will be sold, too! I have and will continue to refer Boals Farm with the utmost confidence. I am more than happy to talk in person or over the phone to any event planner or potential client wanting to know more about my experience working with Boals Farm ~ it is simply top notch!